Glenn Close has insisted she is "as sexually eager" as ever in her seventies. The 71-year-old actress, who on Tuesday earned her seventh Oscar nomination for her role in movie The Wife, in which she plays a woman living in the shadow of her Nobel prize-winning husband, played by Jonathan Pryce. And in an interview with The Guardian, the actress insisted that she still feels as sexually vibrant as ever, in spite of her advancing years. "It's one of the great myths that you lose your sexuality as you get older," she told the publication. "I feel as free and as creative, as sexual and as eager, as I ever have. And it's ironic because I'm thinking: "How much time do I have left now?'" She continued: "There are so many things I'm interested in doing. It's one of those ironies, I suppose, that we sometimes start feeling comfortable in our own skin only late in our lives, but hopefully with enough time to benefit from it." 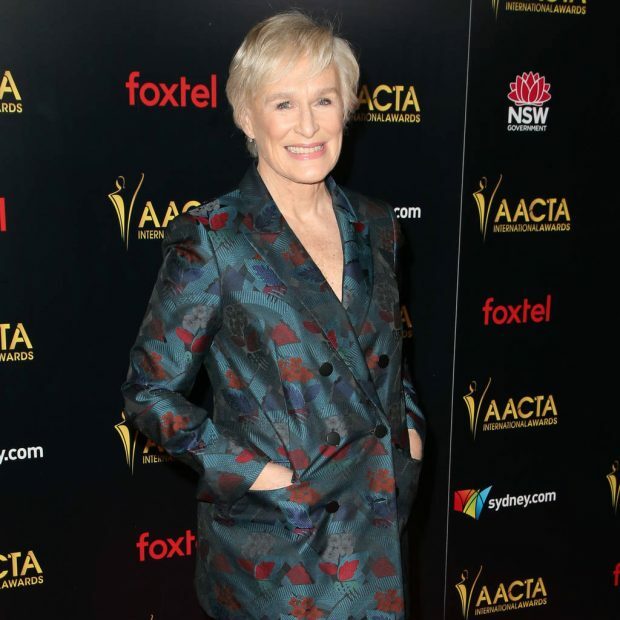 Close has worked consistently since her breakout role in 1987 film Fatal Attraction and she admitted she has no plans to slow down, as she is enjoying the unexpected advantages of getting older. "I'm so glad to do what I do because even though I'm not a method actor and I don't use my life in my acting, my work is still a progression. So what comes after this I'm excited to see," she continued. "Right now, I'm just enjoying feeling "Chuffed. Isn't that what you all say? I'm feeling very chuffed." The Damages star will compete with Lady Gaga, Olivia Colman, Melissa McCarthy, and Roma star Yalitza Aparicio for the Best Actress prize at the Academy Awards next month. And following the nominations announcement she told the New York Times: "It feels incredible to be recognized at this point in my career for a movie that could easily have just disappeared. To know that my work has connected with people – that's the most thrilling thing of all."